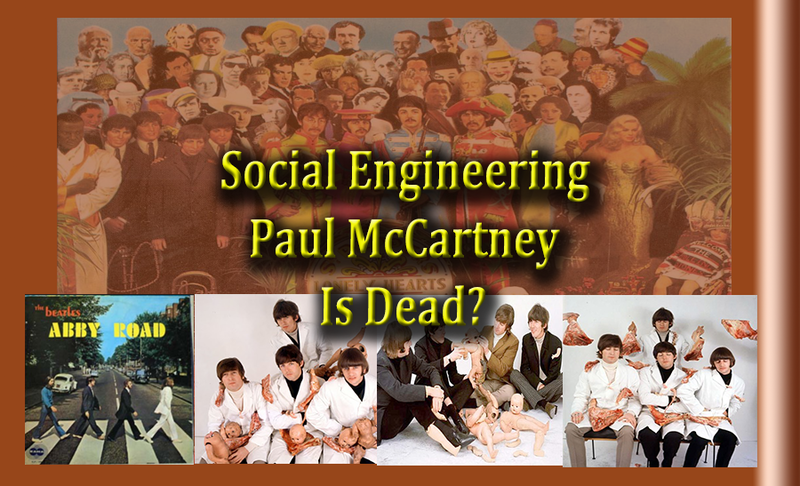 Social Engineering: Paul McCartney Is Dead? Looking through my Notebook of commentaries, I searched for something that would be interesting to share with my YouTube Audience. Something that would tie in to today but would also be something that could carry its own message of truth and discovery. Needless to say I have so much to share, but knowing you folks out there in YouTube land, it’s hard to stay relevant unless you hop on a subject in the moment, because it simply does not take much time for today’s news to become tomorrow’s passé. I found something I had written about Paul McCartney almost 2 years ago to this day. What was interesting about it is that while doing another video around the cult of personality and around pedophilia and child sacrifice and Pizzagate, I found these very strange photos of the Beatles, with babies and body parts. I thought that was strange, but it made me think of how these artists are initiated. And even though they came from Liverpool in the UK, the industry is the industry. The pics had an eerie vaneer of child sacrifice with the heads and limbs removed and placed on different parts of the anatomy of the Beatles. The pics also contained what appeared to be fresh cut meat. The Album cover caused so much controversy Capital records recalled the pre-issued ones and covered the soon to be issued ones with a dorky sort of cover, that none of the Beatles liked. Despite being North America’s only source for such great songs as “If I Needed Someone” and “I’m Only Sleeping” for nearly 20 years, the Beatles’ 1966 release Yesterday… and Today is mostly, if at all, remembered for its album cover. 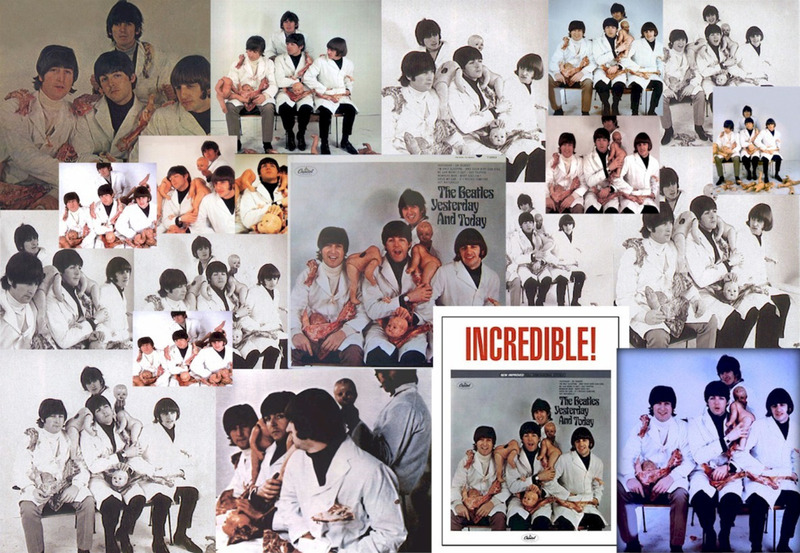 It featured John, Paul, George, and Ringo wearing white butcher’s smocks with various cuts of meat and partially burned plastic dolls strewn about them, all while the boys gleefully smiled. Various accounts say that the Beatles’ manager, Brian Epstein, and the head of Capitol Records at the time, Alan Livingston, had concerns about the use of this decidedly unusual picture, but for whatever reason, some copies were still sent out to disc jockeys and some stores ahead of the planned release date. It didn’t take long for the backlash. According to a letter issued by Capitol, a “sampling of public opinion” said that the image was “subject to misinterpretation”. Some DJs reportedly refused to play the album on air, and teen magazine KYA Beat referred to it as “the s(l)ick humor of the Beatles” in an issue that chose to do a plain red cover instead of the picture. Capitol quickly had the Beatles do another photo shoot, in which the group posed around a steamer trunk. You can literally see the looks of disdain on their faces. One of those pictures then became the new album cover, which was pasted on over the remaining “butcher” copies that weren’t already destroyed. The result was that Yesterday… and Today became the only Beatles album to lose money for Capitol. To this very day, rumors abound that the Beatles intended the offending photo as a statement about the Vietnam War, or that it was their protest against the way Capitol edited and re-arranged their albums. The truth seems to be that all of it was photographer Robert Whitaker’s idea. Ironically, the same type of people who took offense at the photo would’ve probably loved the concept behind it. Whitaker was shocked by crazed fan-reaction to the Beatles, whom he felt were “not an illusion, not something to be worshiped, but people as real and substantial as a piece of wood”. Comparing it all to the Biblical account of the Israelites’ worshiping a golden calf as the ten commandments were being written, Whitaker originally intended to give the photo a gold colored background and illustrated silver jeweled halos over the Beatles’ heads. Coincidentally, John Lennon’s “bigger than Jesus” comments started another controversy about a month later. Who has done a lot of research on the Beatles phenomenon and in particular the fact that Paul Is Dead or PID. I watched the video out of curiosity as I have seen other videos of her in the past. She is quite deliberate and thorough in her research but this was a video of her podcast of an individual speaking on a topic she had little or no research experience into herself. I was struck by the content of this video and hence my video commentary was selected. 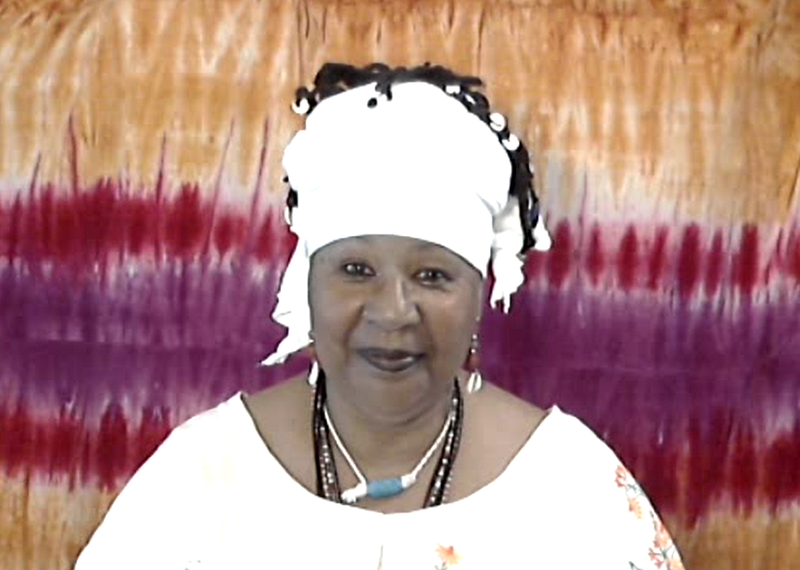 I do believe I am divinely guided when I chose a topic for my videos. I have to have a certain passion arise up within that will spur me on and make my thoughts flow seamlessly. Luckily, I work for myself and can choose topics that I feel driven about. I will leave a link to here video as well. It aired September 15, 2016. This interview is very compelling and everyone should take a moment and watch it. It speaks volumes about our time today, but also about those times back in the 60’s. As I mentioned before in my previous video, the NOW is not new at all. The plan has been in place for centuries. It has many tentacles that stretch very, very far into the minds, hearts and spirits of all its actors. Some actors feel they are more in charge than others, but nevertheless there is a hidden hand behind it all. 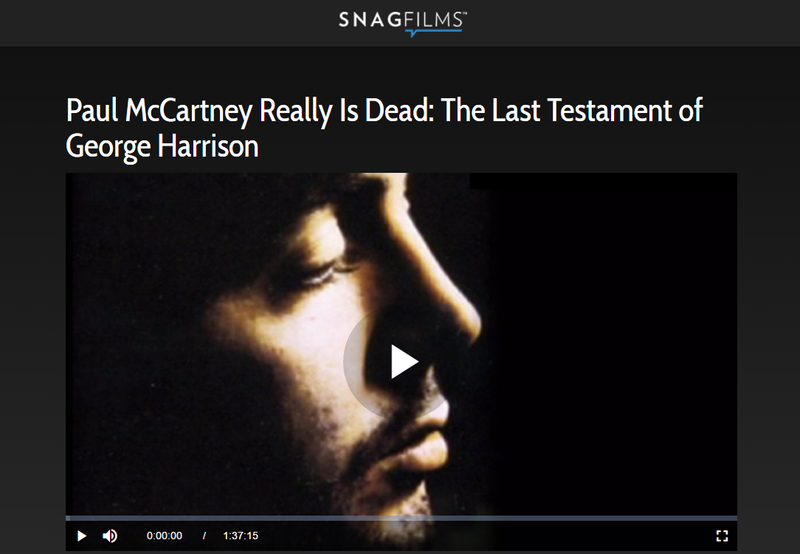 In this video, I also want to comment on the movie called PaulMcCartney Really Is Dead: The Last Testament of George Harrison. Highway 61 Entertainment has produced this unauthorized documentary that includes this newly unearthed evidence. Some say it was a hoax or spoof film but this film made me wonder and offered some substance to the theory as far as I am concerned. I must admit I had Beatle Mania. It was a very interesting psychological phenomenon. My mother would just look at me in wonderment, as I would swoon, cry and even get faint. Ha, that was funny when I think about it. Were we the lost generation, looking for a reason to love passionately some pop stars we had never met with mop hairstyles? They seemed to dare to be different. It was quite believable back then. I remember this. It was during my last year of high school and first year of college. 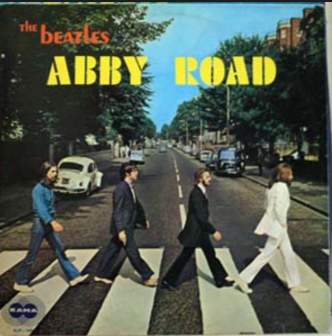 We got caught one night in our college dorm when someone brought us the album “Abby Road”. If you ever had an experience that shifted you so greatly that you can go back to that moment years later, that was the type of experience that was. We were so spooked that night and we actually thought we saw Paul’s ghostly shadow in the hallway as it passed the window on the first floor of our dormitory. We huddled around and listened to the music being played backwards, which had to be done manually and we cringed in horror! How could this be? It took us a few days to settle down, but there were a few die-hards who continued to persist in the truth of the conspiracy, so much so that the album became “taboo” and we stopped listening to it. Eventually we went on with our lives, but that day never left me, nor did I feel the same about the Beatles or Paul anymore. In today’s world looking back on that and how the entertainment industry has the mystique of the occult and hidden hands that pull the strings of the so-called “talented ones” who have meteoric fame with little talent, it causes one to pause. Was Paul the sacrifice so that the band could become as famous as they did, practically over night? Did Paul decide that he would take the “plunge” and go along with this scheme to say he was dead as a “marketing ploy” to sell more albums? Did Paul really die and they needed to tell the world by implanting backwards words and music into their albums as a way to start a new “mind control” trend? Think about it. That was back in the 60’s, who ever heard of these guys, then all of a sudden they were having folks cry and faint over them. What was the real secret to their fame? With what we know now, I would say that many of the above mentioned scenarios may apply, if not all and some others, I did not mention. He was my favorite Beatle, but something did change about him and if this “film” has even the slightest bit of credence, then there very well may have been a deep conspiracy. That they cared so much about people killing themselves over his “presumed” death is a bit of a stretch for me, although there were some reports of that when Michael Jackson died, but seriously… that part of the story almost made me stop watching the film. I watched it though, because I was there, and I wanted to see what other unknown clues they had. All in all, the film was quite interesting. Is it true? Well, maybe someone will come forward with the real evidence in time, then again, maybe not. 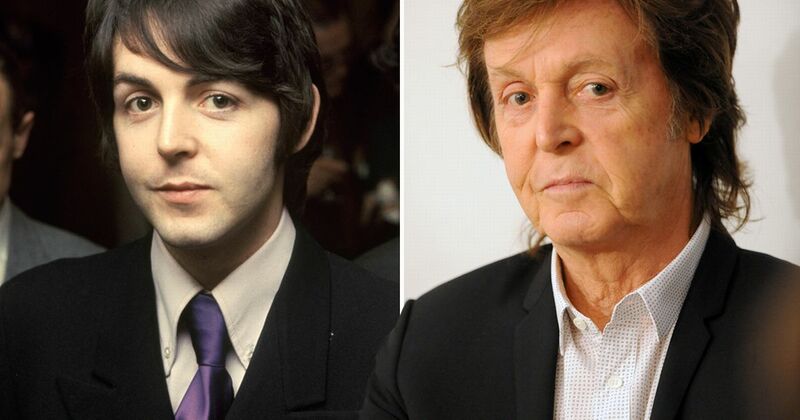 Countless secrets have met the grave, and with Paul being the Only Beatle left, and he’s 80 years old.. Well if he breathed a word about it, we may be calling it a death bed confession. Is Pizza-Gate A Pysops? What’s Really Behind It? In this video are featured those very weird pics of the Beatles. 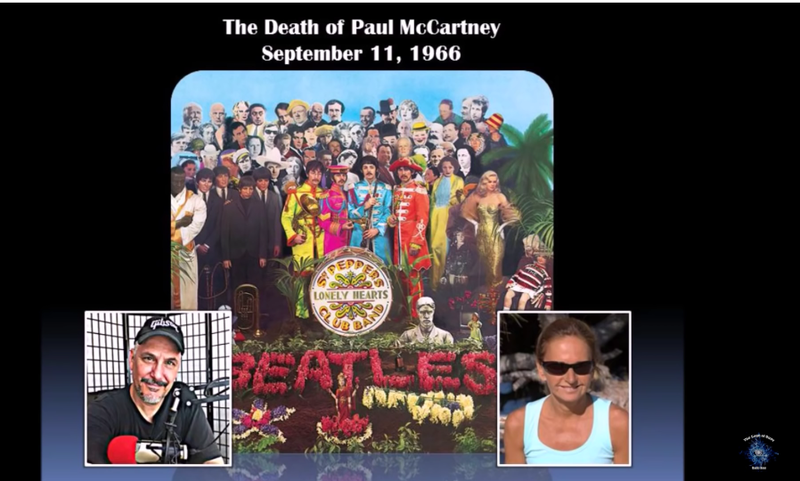 In this mockumentary spoof of “Paul-Is-Dead” theories, a mysterious voice on the tape reveals a secret Beatles history, chronicling McCartney’s fatal car accident, the cover up, and dozens of never-before-revealed clues, exposing “Paul McCartney” as an impostor! Highway 61 Entertainment has produced this unauthorized documentary that includes this newly unearthed evidence. Fear not, Beatles fans! The original interview quotes are from a satirical news website, Macca is still very much alive (unless you know something, we don’t).